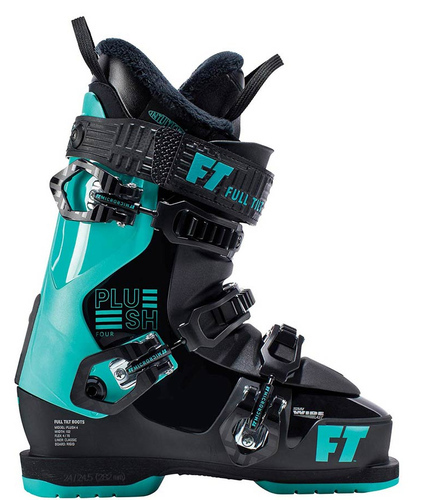 The 2019 Full Tilt Plush 4 Women's Ski Boots make it possible for any skier to rock a Full Tilt ski boot. This Full Tilt Plush 4 is softer flexing and warm and soft inside, making for a great all day fit. Now the Plush 4 is also a wider version of Full Tilts 3 piece design, so if you have been suffering thanks to those narrow boots, the Plush 4 has you covered!